Green Hills Music Group, a boutique-style home for exceptional songwriters, represents the music of such hit makers as Bob Regan, Bonnie Baker, Georgia Middleman, Rick Giles, Steve Williams and Paul Duncan. Since opening the doors at the start of 2007, Green Hills has had songs recorded by numerous artists, including Rascal Flatts, George Strait, Bomshel, Hunter Hayes, Bucky Covington, Luke Bryan, Jake Owen, Jimmy Wayne, Claire Lynch, Edens Edge, Mark Chesnutt and The Derailers. With over thirty years of success on Nashville’s Music Row, Woody Bomar launched Green Hills Music Group as a uniquely independent publishing house that looks toward the future while drawing from his rich experiences in various aspects of the ever-changing music industry. A graduate of Middle Tennessee State University, Woody left a successful advertising career to follow his passion for music. 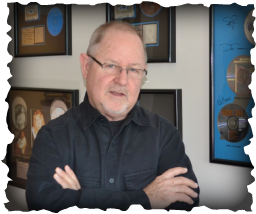 Starting as a songwriter for Combine Music Publishing, Woody penned hits including a top-twenty single for Loretta Lynn and #1 releases by Conway Twitty and Jim Glaser. With additional recordings by artists including Hank Williams Jr., Lee Greenwood, Lynn Anderson, T.G. Sheppard, and others, Woody transitioned into the role of Creative Director and ultimately General Manager of Combine. He promoted the music of a large staff of writers including Kris Kristofferson, Tony Joe White, Larry Gatlin and Dolly Parton. His efforts successfully placed notable hits including The Judds’ first single, Restless Heart’s first #1, Reba McEntire’s #1 recording of "Little Rock" and Ray Charles’ version of "Three-Quarter Time." Woody departed Combine in 1987 to start Little Big Town Music Group with his business partner Kerry O’Neil. Serving as President and General Manager, he nurtured the careers of top Nashville songwriters including Bob DiPiero, Steve Seskin, Karen Staley, Jay Knowles, Cathy Majeski and John Scott Sherrill. The company celebrated its first anniversary with its first #1 single, an amazing success for a startup publisher. Little Big Town went on to celebrate 15 #1’s, 30 top ten singles and more than 500 major label cuts during its ten year history. BMI honored the company with the Robert J. Burton Award for the most performed country song of 1995, Neal McCoy’s recording of "Wink." Other Little Big Town songs were recorded by such top country artists as Faith Hill, George Strait, Tim McGraw, Reba McEntire, Diamond Rio, John Michael Montgomery, Pam Tillis, Kenny Chesney, Waylon Jennings, Vince Gill, Patty Loveless, and Collin Raye. Additionally, Little Big Town enjoyed pop cuts by Neil Diamond, Delbert McClinton, Dusty Springfield and Peter Frampton. In 1998 Little Big Town was purchased by Sony/ATV Music Publishing which also employed Woody as Senior Vice President to reorganize and manage their Creative Department. During his eight-year tenure with Sony/ATV the company consistently maintained the top country publisher position with both BMI and Billboard Magazine. Woody and his team achieved 1,937 major label recordings including 99 top-ten singles and 46 #1 singles. He signed such artist/writers as Dierks Bentley, Rascal Flatts, Josh Turner, Marty Stuart and Blake Shelton and was instrumental in bringing Taylor Swift, Gretchen Wilson, Eric Church and Miranda Lambert to the Sony/ATV roster. Returning to his love of independent music publishing in 2007 with the launch of Green Hills Music Group, Woody continues to be highly involved with songwriters and the Nashville music community. He is a member of the Country Music Association, Americana Music Association, Leadership Music, The Songwriters Guild of America, The Academy of Country Music, The Canadian Country Music Association, ASCAP, The Copyright Society of The South, The Nashville Songwriters Association International, The Recording Academy, Belmont University’s Entertainment Industry Advisory Board and the Musicians Hall Of Fame Advisory Board. He is recipient of The Nashville Songwriters Assn. President’s Award (twice) and is an inductee into the MTSU Mass Communications Wall of Fame.